Refurbished PHI / PerkinElmer Auger and XPS Systems and Replacement Components and Controllers. All refurbished systems include installation, training and a one-year warranty. Our AugerScan and AugerMap software products run on the latest Windows operating system (currently Windows 10) and are compatible with CasaXPS data massage and presentation software. Currently, all of our refurbished systems have been sold. Please contact RBD to be notified when a system becomes available. 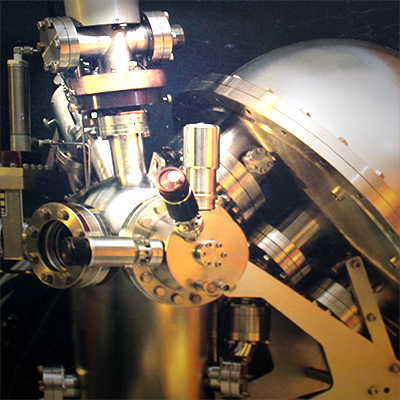 The monochromator provides better energy resolution than the standard x-ray source. This system is ideal for a university lab environment where system up-time is important for publications. Includes installation, training and a one-year warranty. Static SIMS or Scanning AES options are available.